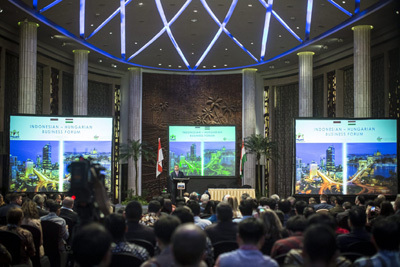 The chairman of Hungarian Fur Trade Association János Lamoga travelled to Jakarta, as a member of the business delegation, to participate at the Indonesian – Hungarian business forum. Prime Minister Viktor Orbán and the Indonesian President Joko Widodo talked on close economic cooperation. At the forum, several bilateral agreements were signed, including one between the industrial chambers of the two countries.